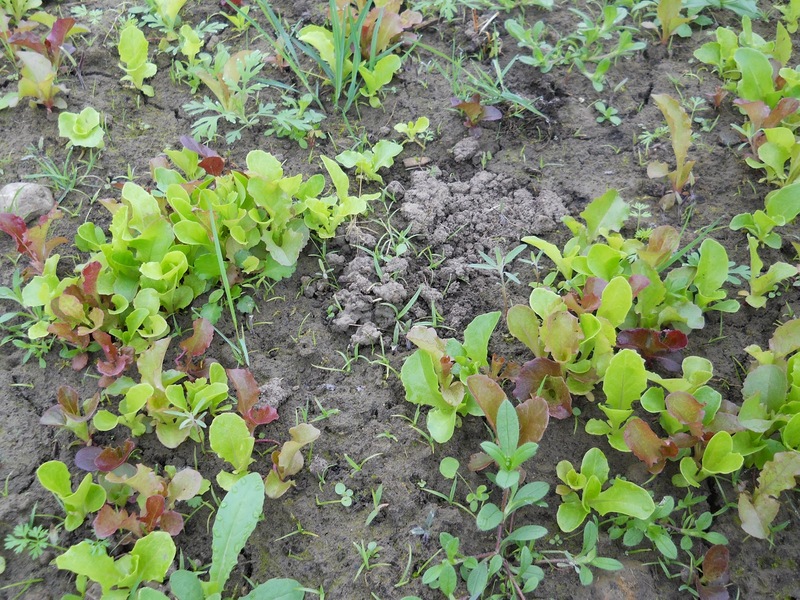 Please see Canadian Organic Growers' link - urgent message regarding fundraising. We can all help together. It's so very important. The Sustainability Fair was very well attended. What I found exceptionally noticeable was the different generations with various booths: mom and dad at one booth, one of their sons taking pictures for the Fair, another son selling another product; another mom at a booth, daughter at another - that is so cool. I was with Lloyd at the Canadian Organic Growers' booth. So many people had their energetic experiences to share, questions to ask, it was all very inspiring. We saw several young people who just moved out to the country, bought some land and have small hobby farms, growing their own food, raising a few animals and thrilled about the whole idea - yippee for them - yippee for us! Oh No - but wait - Oh Ya. We thoroughly enjoyed the rain, steady and soft, all weekend. I say "It's greening out" and indeed it is. 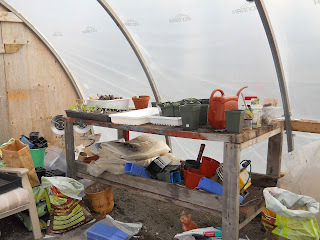 The power went off several times in the night, the generator came on, the fan that keeps air flowing between the two layers of plastic on the Greenhouse is attached to the generator - this is a good thing. But what a shock to hear the snowplow coming down the road in the wee light of day!! The good thing is when there's this much snow in April, it won't be staying so it can be pretty. I was a bit nervous opening the doors of the Greenhouse, but wait! 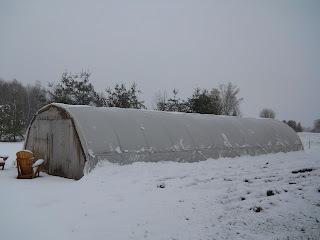 I assume the snow just gave that little bit of extra insulation to protect our future food in the cold windy night. All is well in the world of green. 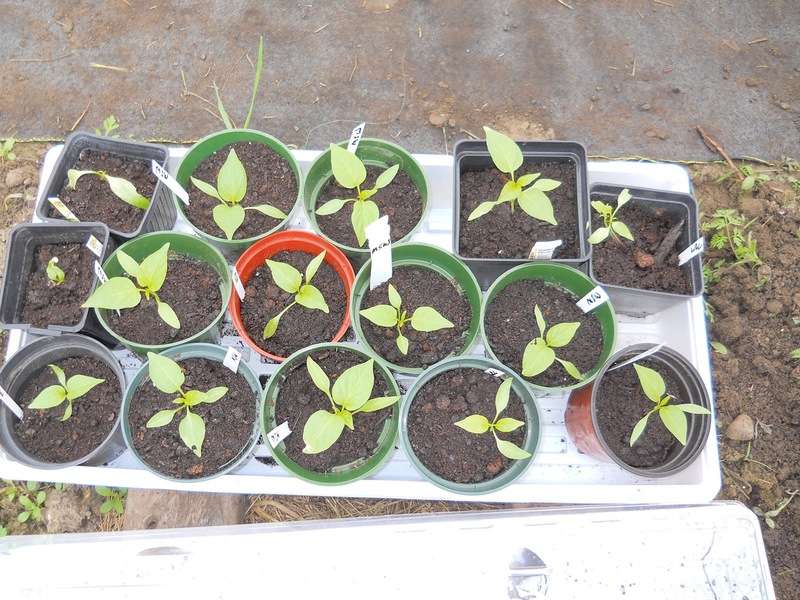 Peppers, be strong. There will still be salad greens for tonight's dinner. Everything gonna be alright. Oh yeah. Well, we've been busy getting the Tractor delivered, hooked up with the plow, I point at which patch needs to be newly plowed and Tom very happily gets out there. 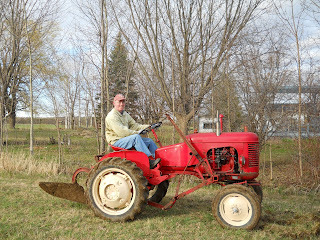 He is enjoying the Tractor which he has named Tiny Tim and even wanted to plow in the rain yesterday. Seemed like a bad idea, so we went to Brockville instead and bought stuff for the farm. 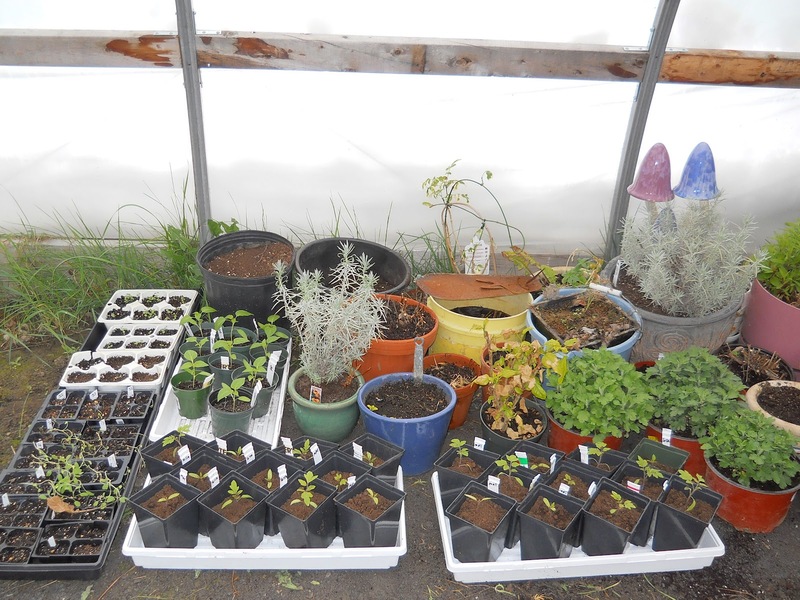 The Greenhouse is getting organized. 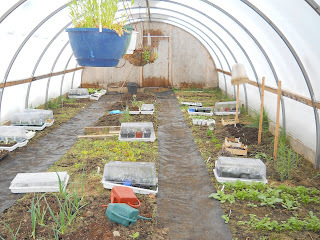 Tom moved all the pots without living things in them to the outside of the Greenhouse so we can concentrate on the living. Heather comes from her place up the road almost every day and we up-pot for a couple of hours and organize and plan more. We planted radishes, beets, sno peas, peas and carrots on Thursday, it was such a lovely day, now it's cold but it did RAIN and we're very pleased about that - you know you're a farmer when you're happy it rains Saturday and Sunday - what's with that? So, the new greens patch is plowed but really needs to be tilled a bit before planting the greens - that'll be next week - busy office week for us ahead. 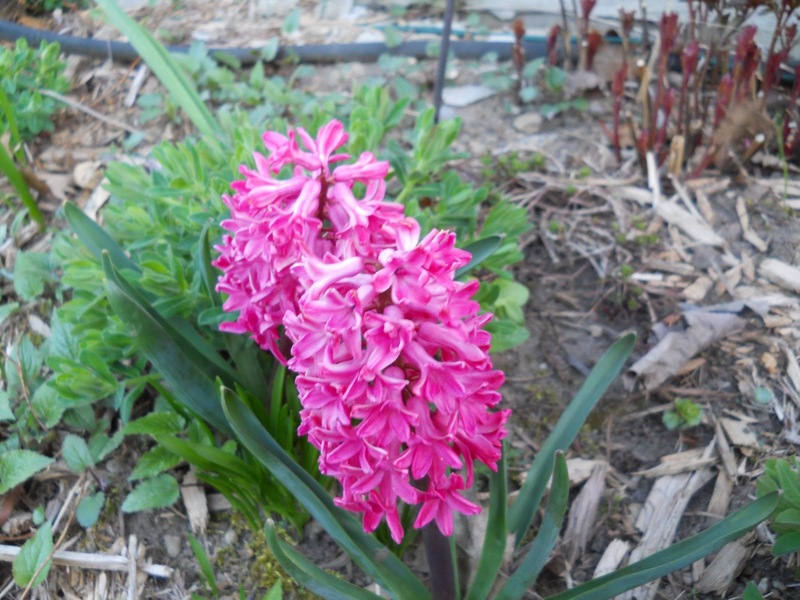 It is wonderful to have the flowers making us smile all on their own, they need no care, just daylight and someone to look at them. Things have been busy around the farm lately! I spent today at the North Grenville Sustainability Fair and hope to have some pictures up soon of this inspiring and wonderful event. Until then, Happy Earth Day Everyone!! The name Day Brighteners has changed over the last 20 years. In the early 1990s I made children’s clothing (particularly fleece with unique appliqués) and home decorations (such as cloth bunnies and tea cozies depending on the season). My first love has always been gardening, but I still sew and make curtains, small quilts and table runners for each season. 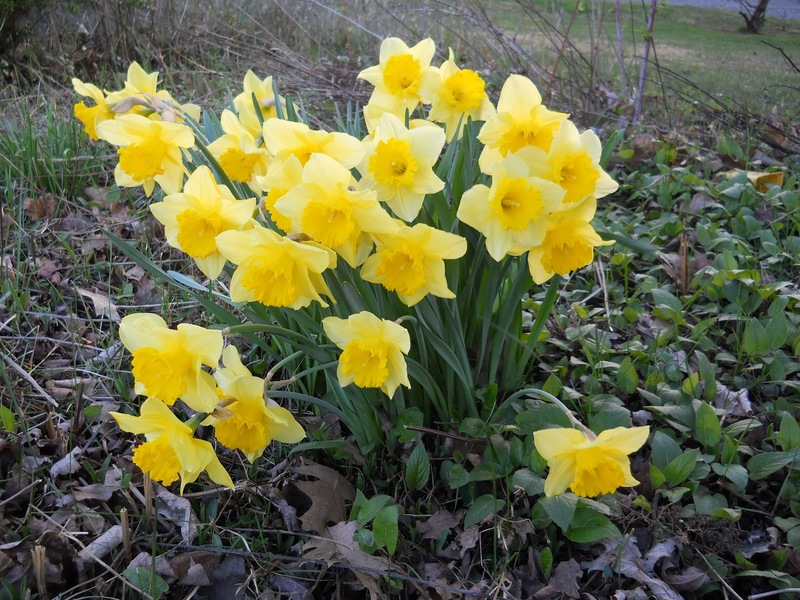 An opportunity to fulfill a gardening dream was presented to me in March 2009 when the 5.91 acre parcel of land around our home was for sale. 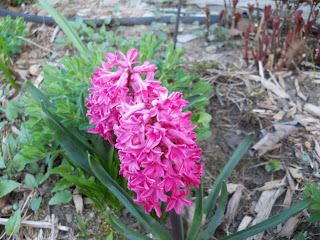 That was the turning point in my gardening world. Organic food became more important than even before. I had been reading about it, buying it, eating it and growing on a small scale on the 1 acre lot which contains our home, garden shed, mini-greenhouse, garage, many many trees, small pond with fish and frogs, a hammock (for those few free moments) and a screened gazebo for those nights when you just want to stay out ‘til midnight watching fireflies. 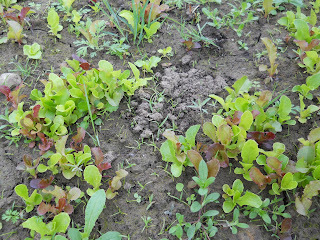 That Spring the plowing began, next the planting, then the excitement of sprouts and plenty of food to eat. Along came the Kemptville Kinsmen Farmers’ Market Stand, then the roadside Stand next to the house, then the Greenhouse! I’m goosebumply just writing about it. I am in awe at how much produce can be grown in our short growing season, the Greenhouse of course extending this season and protecting our produce from the elements, what a thrill it is! So, here we are at the start of 2012. 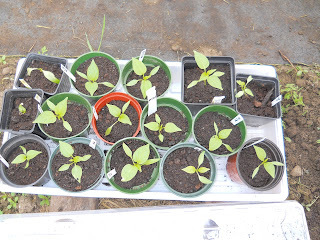 I planted “winter vegetables” in the Greenhouse at the beginning of December and was astonished each day when I opened the doors on a –10C windy day and it was so hot in the Greenhouse (25C) and there were yet more leaves on the sprouts. 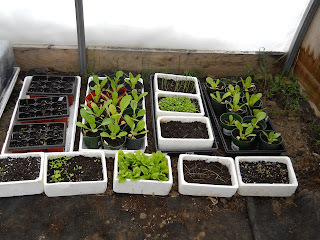 We were hoping to eat our greens by mid to end of February, but alas, the snow melted, the rains came, half of the Greenhouse floor was flooded, BUT the greens kept growing. 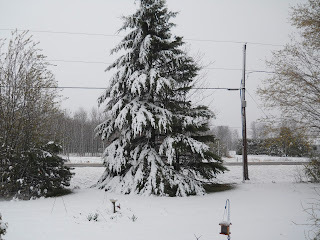 As I always say and will continue to say “Everything new is an experiment, we’ll do better next time.” Next year, winter planting will begin earlier. 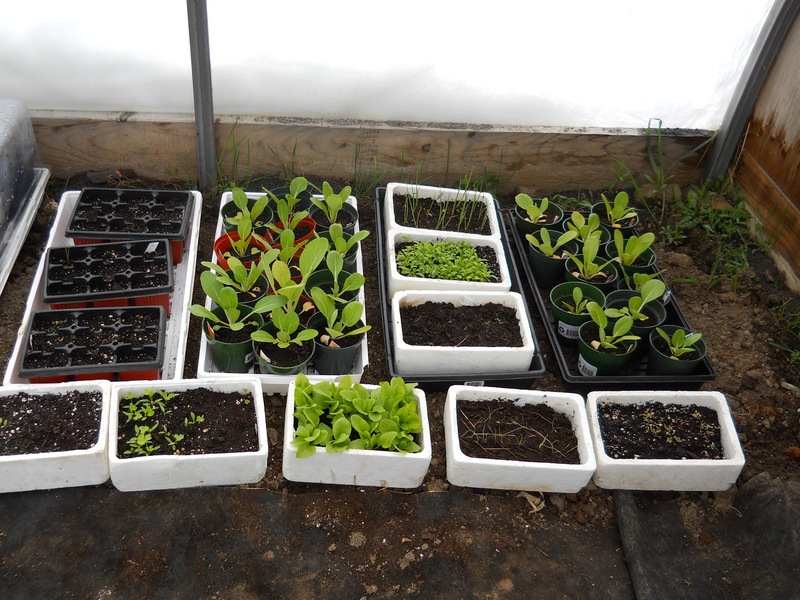 Most of the greens will need to be transplanted from the Greenhouse to a new garden outside to make way for the new spring seedlings in a month or so. The 2012 farming year promises to be exciting indeed. I’ve had many people ask if we will deliver to Ottawa, so am planning a weekly run and am presently setting up a Box Plan. Also, I think the neighbours are getting used to my roadside Stand and we expect to see even more customers during our open hours – every Saturday 9:00 a.m. to Noon starting mid-May. It’s always fun to meet neighbours who have wondered what the funny looking Stand was about and are pleased to find out they can buy Local Organically Grown Food right in little old Heckston. I work in an office in the house and can be contacted there if someone wants to buy food during the weekdays. We ran out of potatoes last year, this year we won’t. We plowed half an acre just for potatoes and have ordered a variety to be planted and ready at different times during the summer and fall. Sunflowers were very popular last fall, there will be a portion of the land beside the Stand dedicated to sunflowers, you’ll see them right near the road. 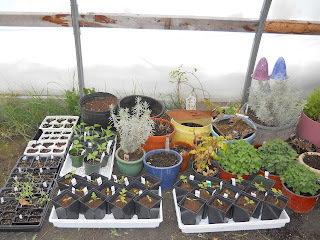 There’s a garden with just herbs, another for field tomatoes just outside the Greenhouse. 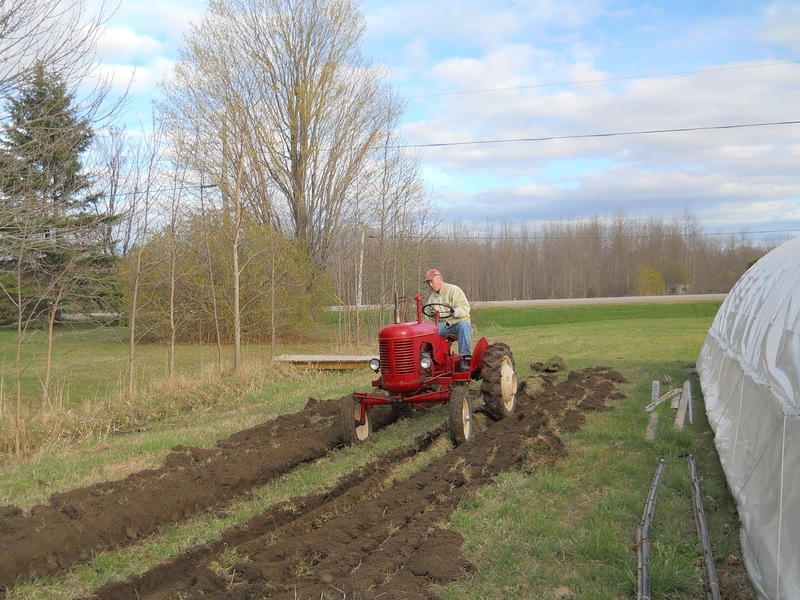 We’ll have summer and winter squash, pumpkins, pole and bush beans, onions, garlic – the list goes on. I (not we - Tom hasn’t begun to kick in yet - he’s just at the cheering stage right now) sowed some vegetable seeds including tomatoes, peppers, celery, onions and many herbs a couple of weeks ago, sprouts are already up and enjoying the long bright March days. 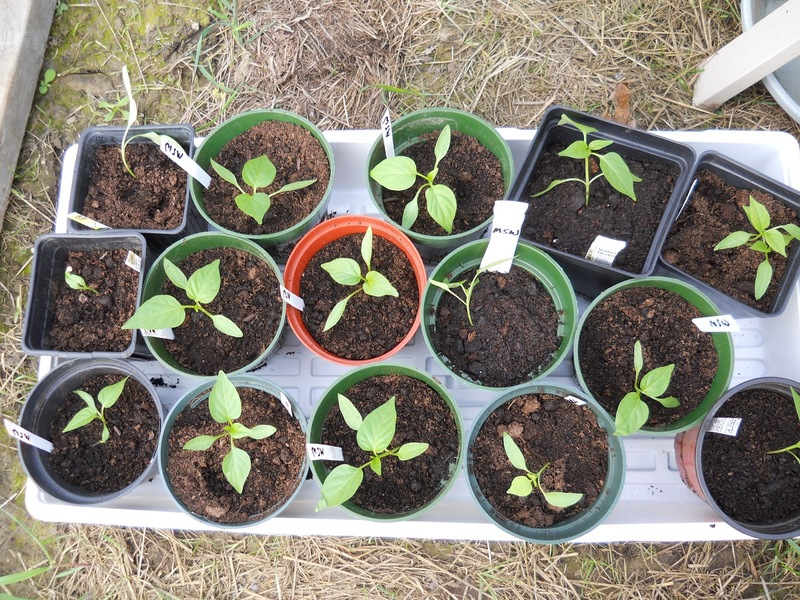 Keeping in mind, some of you like to garden but don’t have the facilities to start from seed, I planted extra of what plants you might like best to buy for your garden at the beginning of the season. I’ll also have Herb Pots available for you to keep in a sunny window or on your porch to enhance your cooking skills. I joined Canadian Organic Growers (COG) last year, have applied to Savour Ottawa this spring and will apply to My Pick this month. We’re enjoying various Learning Days and Seminars offered to us and look forward to attending everything we can to learn more. Small Scale Farming is such a wonderful way to spend time outdoors, get some sun on our pale winter skin, build up some muscles, provide quality organic food for ourselves, our neighbours and friends and continue to learn everyday about sustainable farming, companion planting, farm equipment, meet more like-minded people and really truly look forward to getting out there and giving it all we can. - at the Kemptville Kinsmen Farmers’ Market every Sunday from 2:00 to 4:00 p.m. beginning the last Sunday in May through to Thanksgiving. Look for the Day Brighteners banner. If you’re interested in a Box Plan, leave a message on my phone or email me.